H.E. Shaikh Mohammed bin Khalifa Al Khalifa, Minister of Oil, inaugurated the Third Edition of the Middle East Refining Technology Conference (MERTC), on Tuesday Morning, January 22, which is hosted by the Kingdom of Bahrain over two consecutive days, organized by the World Refining Association in cooperation and coordination with the National Oil and Gas Authority (NOGA) and with the support of a number of international oil companies and consultancy in the field of oil industry and refining. 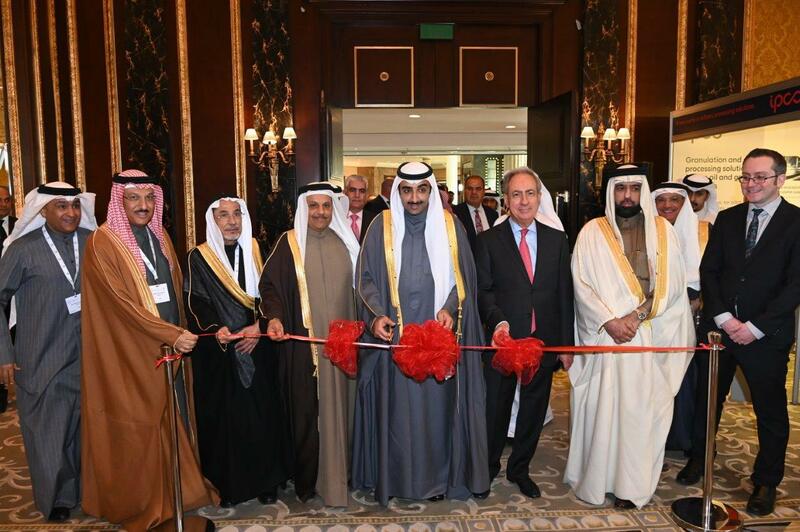 The opening ceremony was attended by a distinguished presence of a large number of national, regional and international oil companies, as well as petroleum consulting companies, technological industries, experts, specialists and directors of companies working in the field of petroleum refining. As well as people that are interested in refining technology in the technical, research and academic circles, which has raised about 450 participants from different countries of the world. In his opening remarks, H.E. the Minister of of Oil, expressed his sincere thanks and great gratitude to the distinguished Government for its tireless efforts, positive and continuous support, and its keenness to provide the highest level of support and assistance to the oil and gas sector in the Kingdom of Bahrain. Also, in hosting specialized oil events in support of the national economy and sustainable development that the Kingdom of Bahrain is witnessing under the leadership of H.M. the King of the country. H.E. the Minister of Oil, has valued the continuation of the World Refining Association to choose the Kingdom of Bahrain for hosting the third edition of MERTC, because of the good reputation achieved by the Kingdom of Bahrain in the Middle East and the world in the conference industry and the convening of specialized events in this vital field, and the impressive results achieved by the series of conferences and exhibitions of MERTC in previous years. Praising H.E. the great efforts of the World Refining Association and the committees of the specialized advisory conference. H.E. the Minister of Oil said that the theme of the conference this year came to meet the desire of participants from various countries of the world, to which the statistics of the number of participants were more than 450 participants and that more than 80% of participants are engineers and technical disciplines who met to address issues and review of administrative, technical solutions, exchange of practical experiences, best practices, technological developments and possible solutions to develop the performance of the petroleum industries, discuss the current reality of the refining industry and review some examples and practical experiences of successful development projects in different regions of the world and other related topics and take advantage of the accompanying events. That can contribute to the improvement of the future of the refining industry in the region and the world. H.E. welcomed all participants from different countries of the world; wishing them a good stay in the Kingdom of Bahrain, and in taking advantage of the conference sessions and the scientific and technical papers in which it is presented and the best modern technologies in the accompanying exhibition to improve the level of development strategies and improvement in their institutions and countries. H.E. the Minister stressed the need for more engineering solutions and advanced technology investment for various challenges in the refining industry as a result of population growth and increasing demand for energy, which requires further work to enhance cooperation between the refining industry and technology. The challenge for technology companies today is to devise creative solutions that will help oil refineries to improve their financial returns and enhance their operational efficiency, noting the need to balance the imbalance that the countries of the world are constantly facing in the price volatility. The current oil that has negatively impacted oil producing countries as well as employees and investors in the field of oil refineries. As well as the need to take advantage of available technological solutions to rationalize operational expenses in this vital sector. H.E. noted the urgent need to find ways to improve the operational efficiency and quality of products, as well as to find innovative solutions and techniques for the increased use of heavy materials, where these innovative technical solutions and innovations are key in achieving the best results in the refining sector in the Middle East and the countries of the world. H.E. the Minister said that NOGA is working on the implementation of the general policies for the development of the oil sector in the Kingdom of Bahrain in cooperation with its oil companies and in partnership with the private sector by implementing a number of vital oil projects in accordance with the strategic plans. Referring in a recent review to the project of modernization of the Bahrain refinery, which is one of the strategic projects in the kingdom; the new oil pipeline project that connects the Kingdom of Bahrain and the Kingdom of Saudi Arabia; and the liquefied natural gas harbor project, which is being developed in partnership with the private sector and the third gas plant project of the Bahrain National Gas Expansion Company (Expansion); and other important projects aimed at enhancing competitiveness and profitability and continuing to contribute to the national economy. Expressing H.E., his great thanks and appreciation and gratitude for the leadership for their support and assistance of the oil and gas sector in the kingdom, which has had positive results in ensuring the sustainability of economic growth. H.E. the Minister extended his thanks and appreciation to the organizing committee of the conference and the advisory body for their outstanding efforts in preparing the meetings of the conference and for the good arrangements for this outstanding oil efficiency and demonstrating it at the high scientific and professional level befitting the reputation of the Kingdom of Bahrain. As H.E. also thanked the keynote speakers, presiding officers, participating delegations, exhibitors, support companies and media organizations, wishing them every success in achieving the strategic objectives of this unique platform within the Middle East. Afterwards, H.E. the Minister of Oil, inaugurated the accompanying exhibition, which included a number of national and international oil companies, during which he met with the representatives of the companies and listened to the various scientific explanations about their products; and to look closely at the latest findings of modern technologies and studies, best practices, and the most important scientific solutions and innovations involved. The accompanying exhibition witnessed the distinguished participation of many national, regional and international companies, including the Bahrain Petroleum Company (BAPCO), Saudi Aramco, SASREF, ExxonMobil, Gulf Petrochemical Industries Company (GPIC), the Gulf Refining Federation, Honeywell company and many international companies and consultancy in the oil and refining industry.